Theme weddings are all the rage today, and there are any number of themes that will make your wedding unique and memorable. If you want to create a fun theme, here are five suggestions you might consider. Think of how fun it will be to have a reception that features a piñata, and to have decorations such as Santa Fe blankets on the walls. 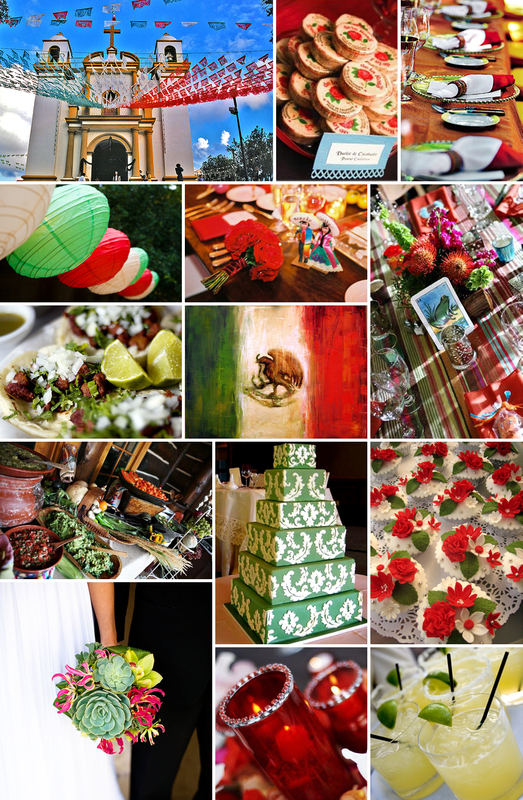 Think how great it will be to serve Mexican dishes to your guests. You will also want to include some Mexican music to really drive home the theme! A lot of people have done this one, but there's a good reason. It's lively, fun and colorful. You'll want to give out leis as wedding favors for the guests. Also, at the reception, you can serve tropical fruits such as pineapple, and of course, have tropical drinks, complete with those decorative umbrellas. This is a bit on the unusual side, but it's a theme that is sure to keep your wedding and reception memorable. And it's especially great if everyone knows that the couple enjoys racing. There is a world of possibilities. Decorations could include checkered flags, toy cars, checkered streamers, and even numbers of favorite drivers and their cars. In fact, if the married couple prefers one driver over the others, you could even decorate with a motif that emphasizes that driver. This is a truly casual theme that works well with normal, "every guy" foods such as pizza, hamburgers, hot dogs, submarine sandwiches, nachos , just about any food that you associate with summer time and the outdoors. A few wedding parties have gone so far as to have a big-screen TV at the wedding reception, tuned to a NASCAR race that coincides with the event. Just make sure you turn down the sound for the official reception events. This can be loads of fun. Think of how great it will be to have your reception area dressed up to resemble a saloon in the Old West. You can ask some dancers to put on a toned-down burlesque show. As for the food, it could include items such as meatloaf, steak and potatoes, and so on. This covers a lot of territory, because usually an animal focuses on a certain type of animal. For instance, there are wedding centering around a family pet, such as the bride's cat or dog or horse. Another example would be, if the couple has a passion for the sea, then the theme could revolve around ocean life. Another popular animal theme revolves around butterflies. This is a great one if you want to include lots of color throughout the ceremony and the reception. Or a fun concept, given the nature of a wedding, would be a "Birds & the Bees" theme. 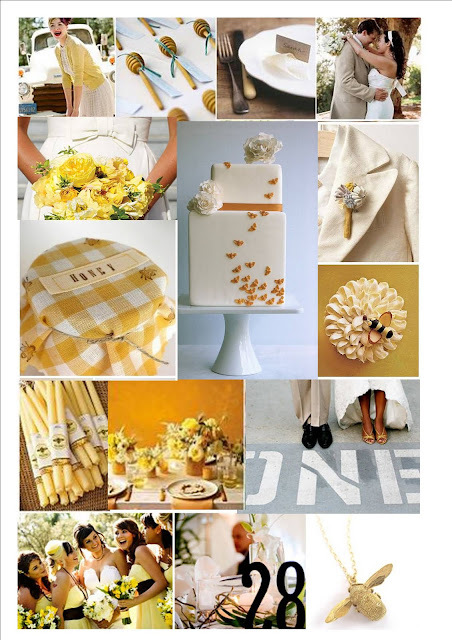 This would be good for a black and yellow theme--and would work well in the summer time. There are lots of things you could do with that idea on the wedding cake, and you could include various honey-based snacks as part of the reception food. 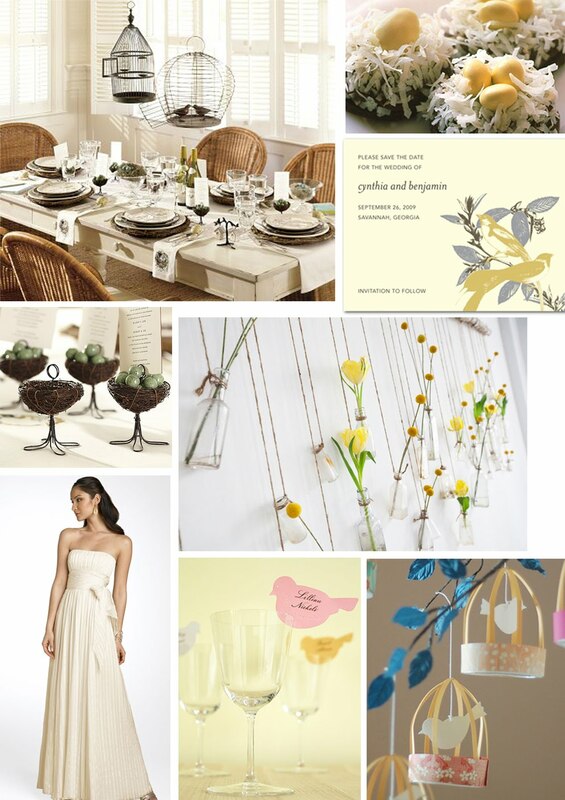 There are lots more creative ideas you could use for your wedding theme. Just remember you never have to stick with what's already be done. Use your imagination and make your wedding day your own.